Hello and here's wishing you a very Happy New Year! All the coloring has been done using the wonderful Chameleon Markers. I was a semi-finalist for their design team call and received a set of 5 markers that I am absolutely in love with. 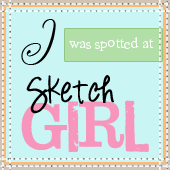 Sadly, I didn't make it to the final design team but I know I will be using these markers more in the coming months. 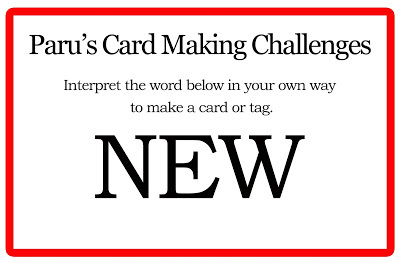 I am playing along with Paru's Card Making Challenges with this card. The stamps and markers used here are both new for me. Thank you for stopping by today! See you soon again! 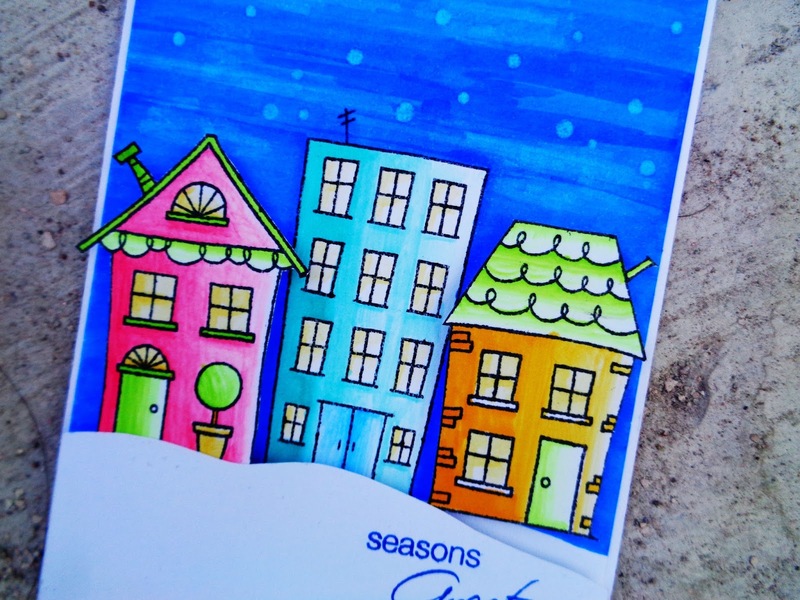 Just adore your winter scene and colourful houses! Your card caught my eye right away Ujjwal! Thanks so much for playing alongat Paru's Card Challenges! 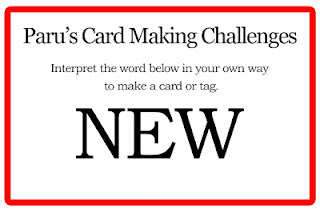 Please could you display Paru's Card Challenges logo on your blog sidebar? It is on the right sidebar on the challenge blog. How lovely is your card!! 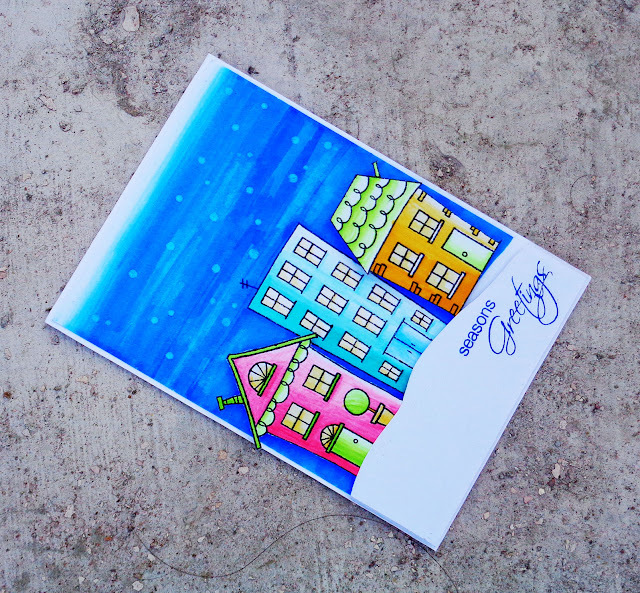 Love your happy card Ujjwal, the coloring is awesome!